Gingham has been another of the big trends of spring 2017 so far, but, surprisingly enough, I’ve yet to actually buy any of it. I say “surprisingly” – I’m a huge fan of gingham print, which I love for its summery, retro-inspired feel, but, actually, most of the gingham around this season is a little different to the stuff I’m used to – and most of it seems to come attached to the kind of ruffled blouses that look fabulous on other people, but would make me feel like I was wearing fancy dress. 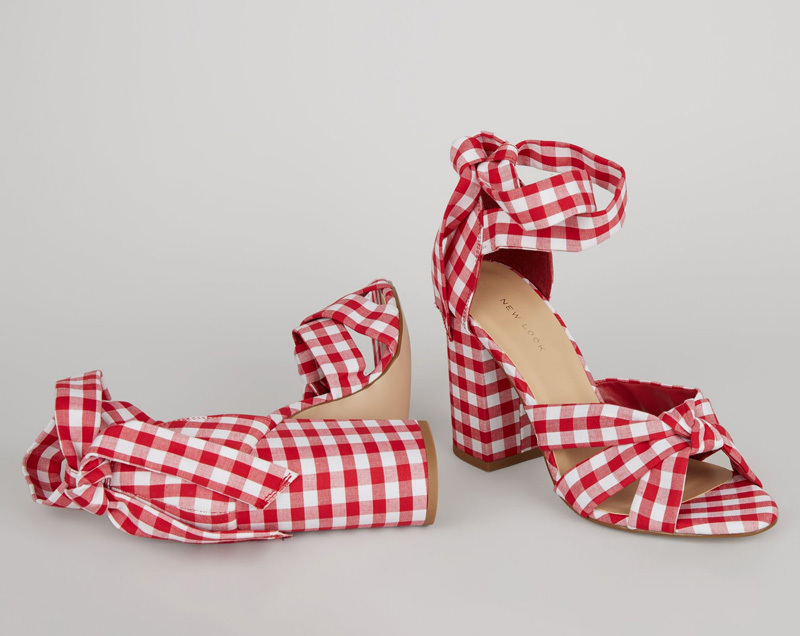 I’m not nearly as keen on ruffles as I am on checks, in other words, so it looks like I’m going to have to restrict my gingham love to the footwear department, which is much more my speed. In terms of styling, I most often wear my red gingham shoes with jeans, but they also look wonderful with something like a white sundress: I love the contrast of red and white, but, then again, the fact that these are also available in a black and white upper means that those of you who share my love of gingham might have a touch decision to make!